Hard to believe that this will be year five for my SFG. It's been good so far and I am looking forward to another year of gardening fun and delicious veggies. This is my end of year recap for 2018 (also posted in the "Fourth Year SFG in Canada" thread). It does not include winter sowing and indoor starting activities. I have grouped things according to what I will do in 2019 with these crops. Squash Vine Borer took out the zucchini and spaghetti squash. Have not seen them in previous years. Japanese Beetles were not as bad as previous years. They did not affect the bean plants but they like Mrs TD's roses and raspberry bushes. Flea Beetles damaged some leaves early in the summer. 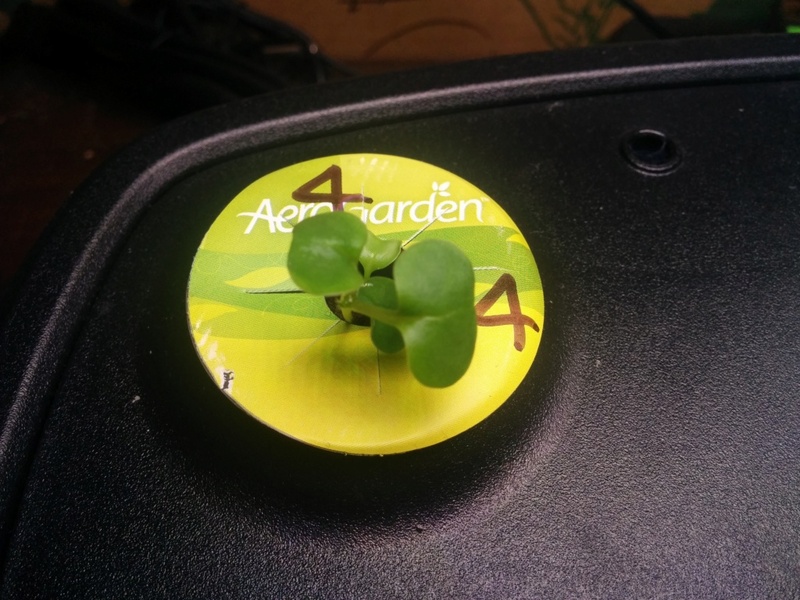 All seven pods in the Aerogarden have seeds that have sprouted including, kale, basil, spicy salad leaves and four varieties of lettuce. @AtlantaMarie wrote: They're so cute!! 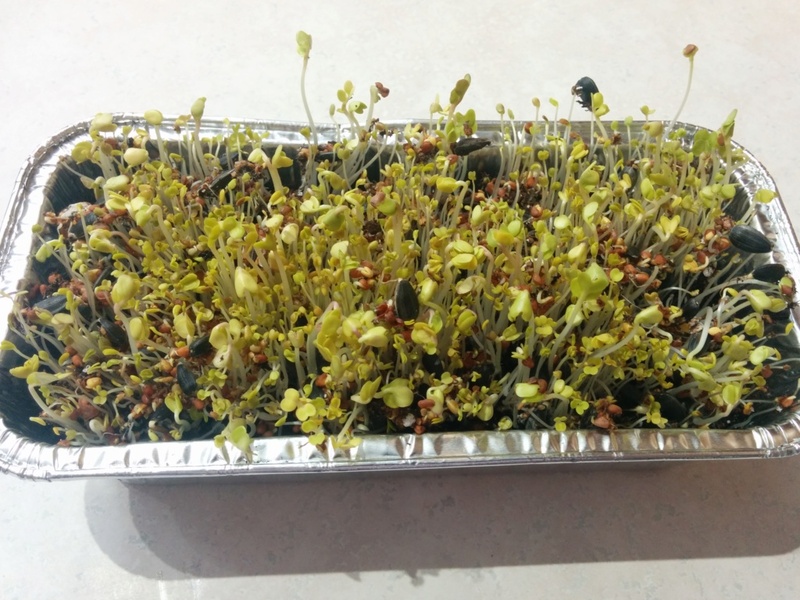 Here is an update on my "Year-Round Salad Gardening" experiment. 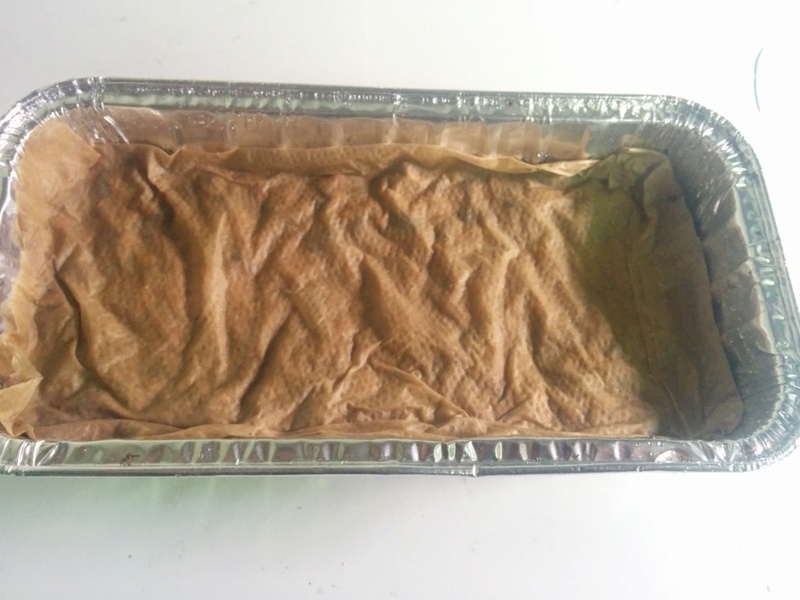 First photo was on Monday when I sowed the seeds and covered with paper towel. The tray was placed on the dark in the cupboard above our refrigerator. Second photo was this morning, Friday, when I removed the paper cover and took tray out of the dark and placed it a place with some natural light but not in a window. 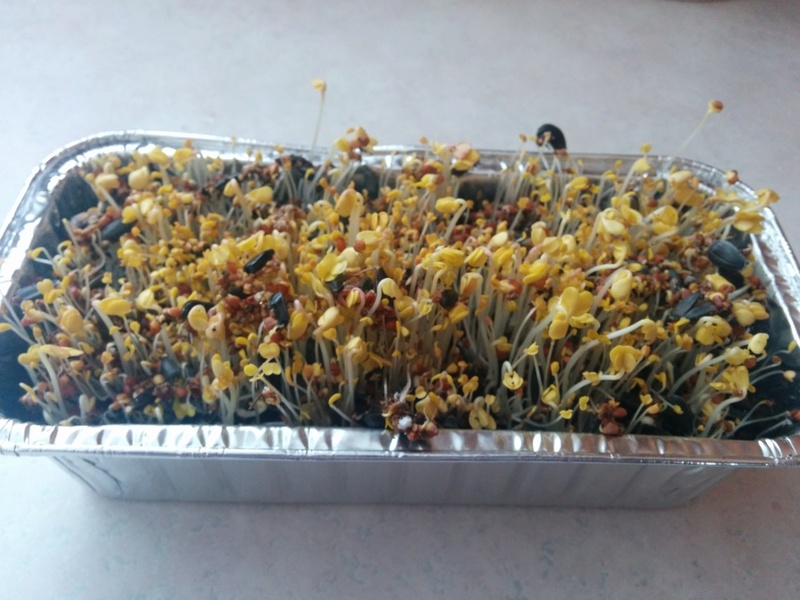 The soil sprouts are about one inch high and they are yellow. The third photo taken about two hours later shows that I have he soil sprouts are already greening up. I'm craving my juicer after 3 days of traveling. Those spouts sure look good! Soil sprouts continue to do well. Soil sprouts and Aerogarden plants all growing nicely. I harvested and ate one half of the soil sprouts (2 photos). 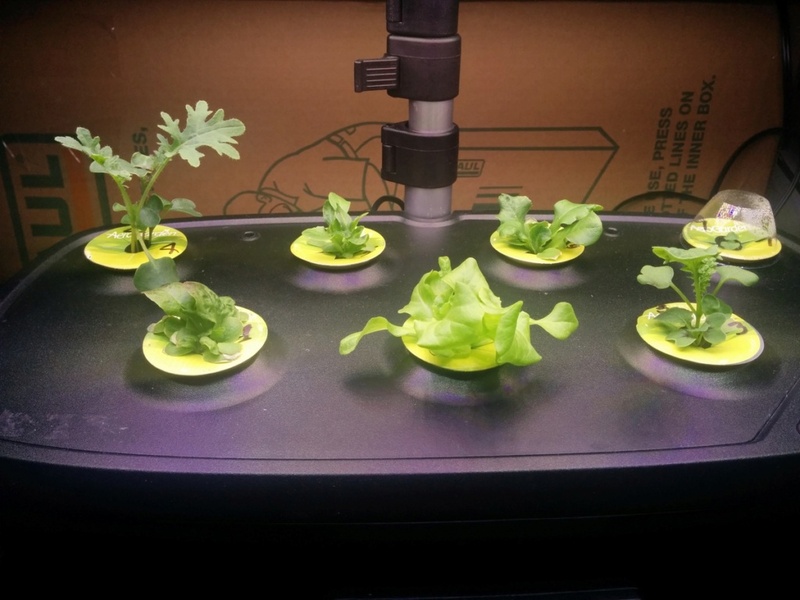 And photos of the current situation with the Aerogarden (3 photos). The soil sprouts look good. 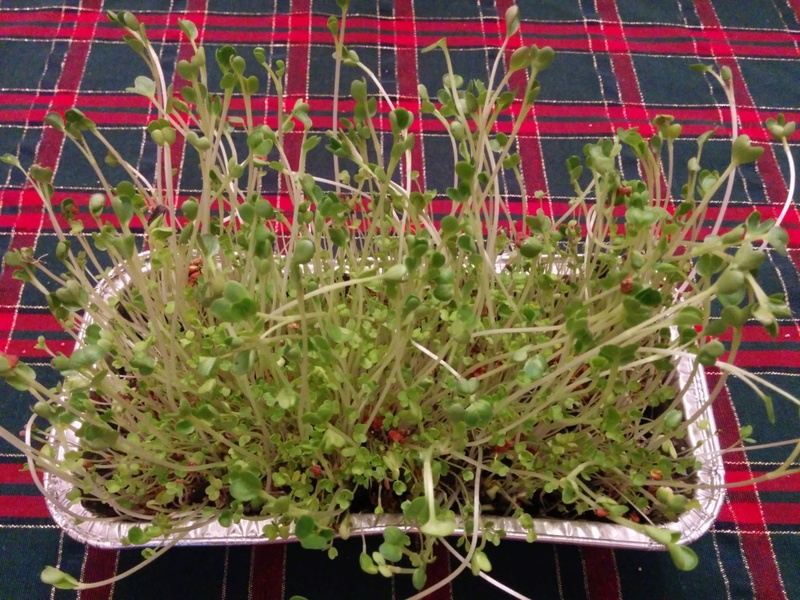 Are they much different than the microgreens.??? @yolos wrote: The soil sprouts look good. 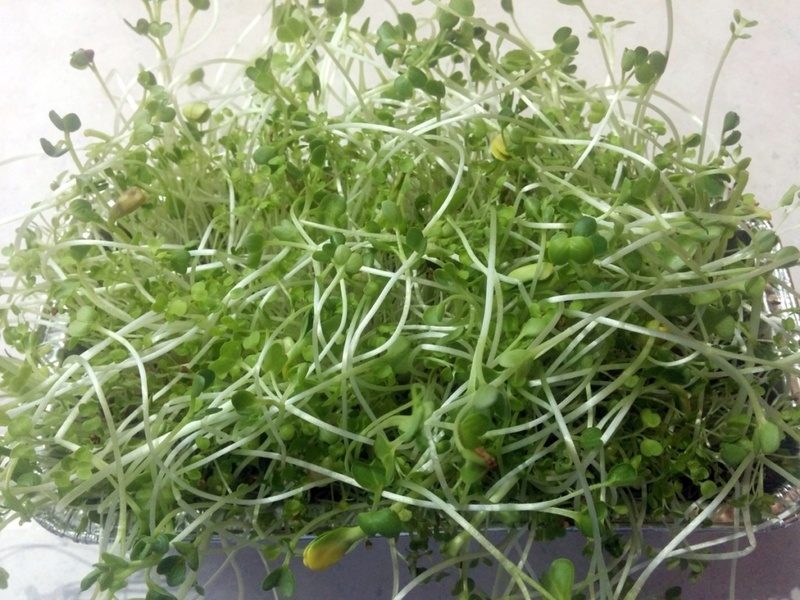 Are they much different than the microgreens.??? I'm thinking they do not have as much flavour as microgreens. 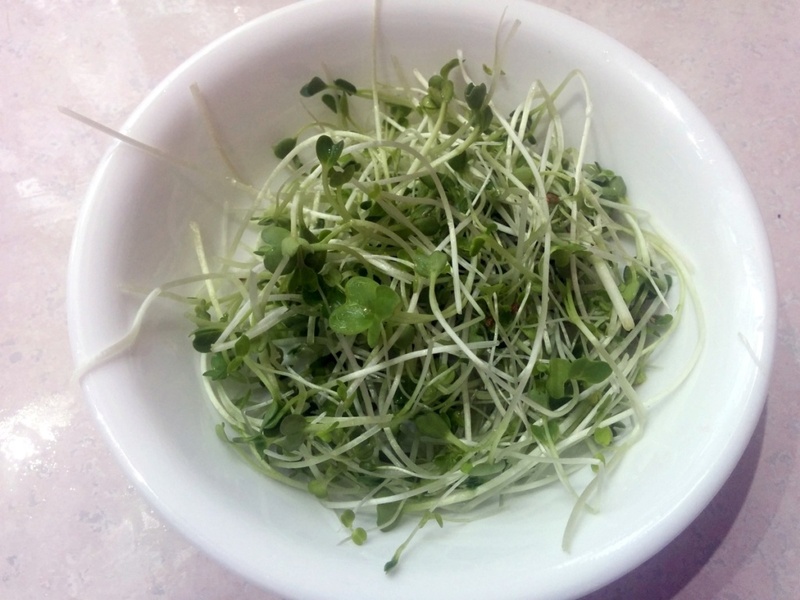 However, it's been a while since I tasted microgreens. I will grow more soil sprouts . 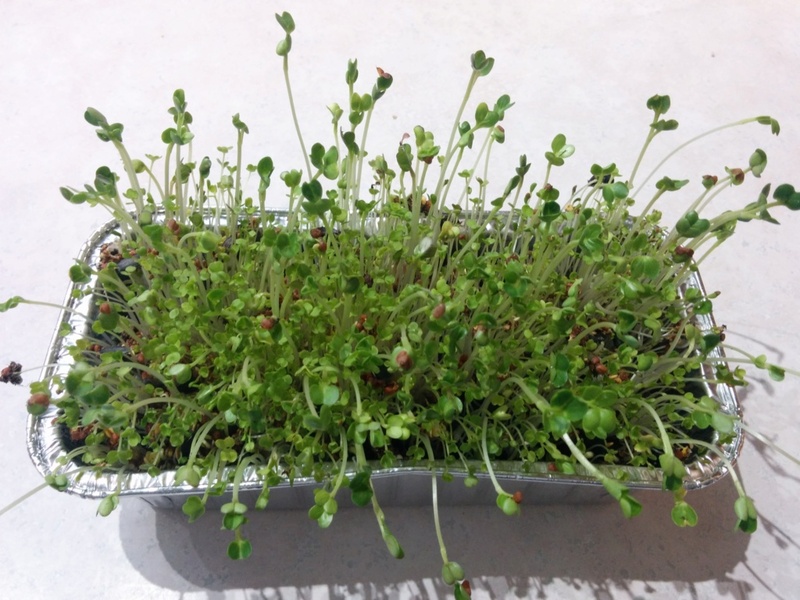 I find them easier and faster to grow to harvestable size than microgreens. Also they do not need grow lights. After four days in the dark they can be placed anywhere there is light. TD, Your Aerogarden plants have grown a lot over the last 4 days. 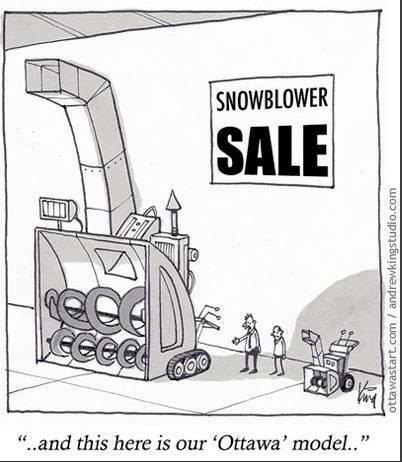 If I lived in the north, I think I would need a couple of these units. 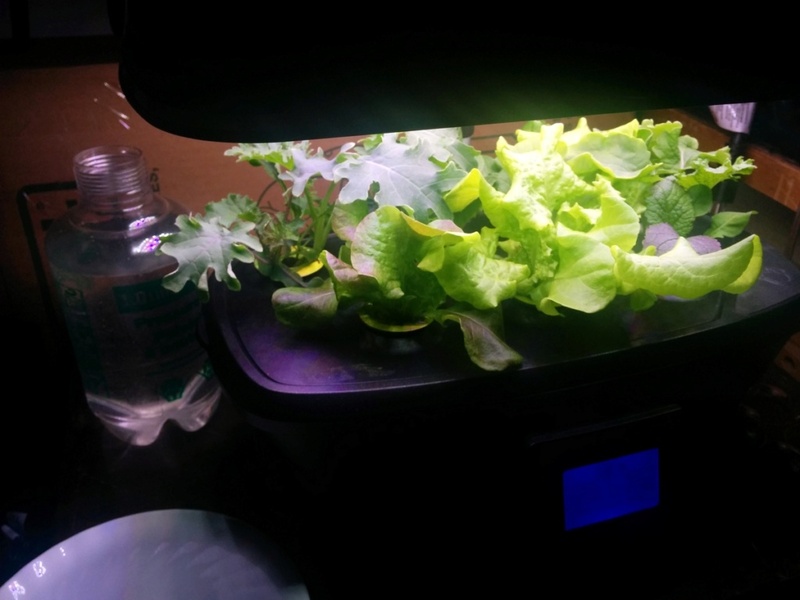 Been enjoying salads from the AeroGarden over the past few days. I agree, TD, it is hard to believe it's year 5 already. And you've done so well! Those salads look mouth-watering. I gave up on indoor greens/salads and things when the aphids came a couple years ago. Maybe I'll try again. I was using outside soil back then and I guess I need to buy something in a bag. 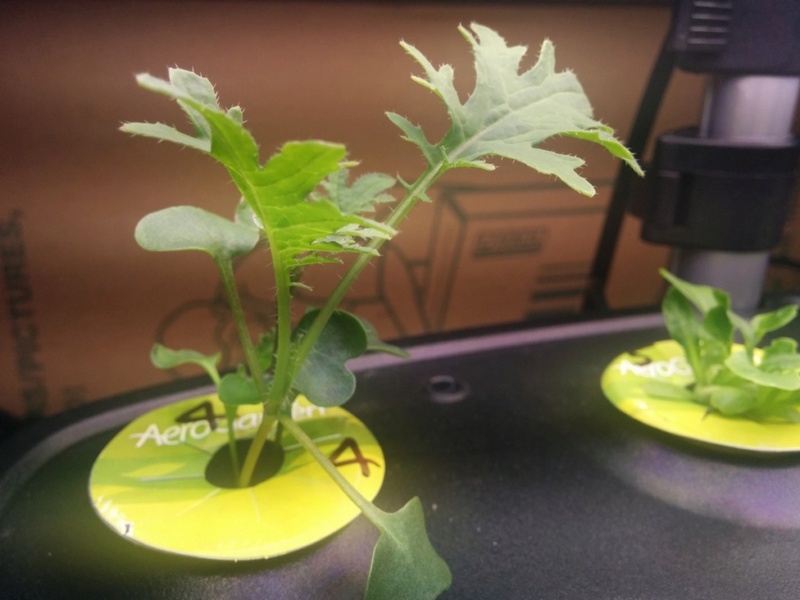 An AeroGarden would certainly nip that problem in the bud but I eat so much salad that I couldn't make nearly enough unless I bought many of them. That lettuce looks good. 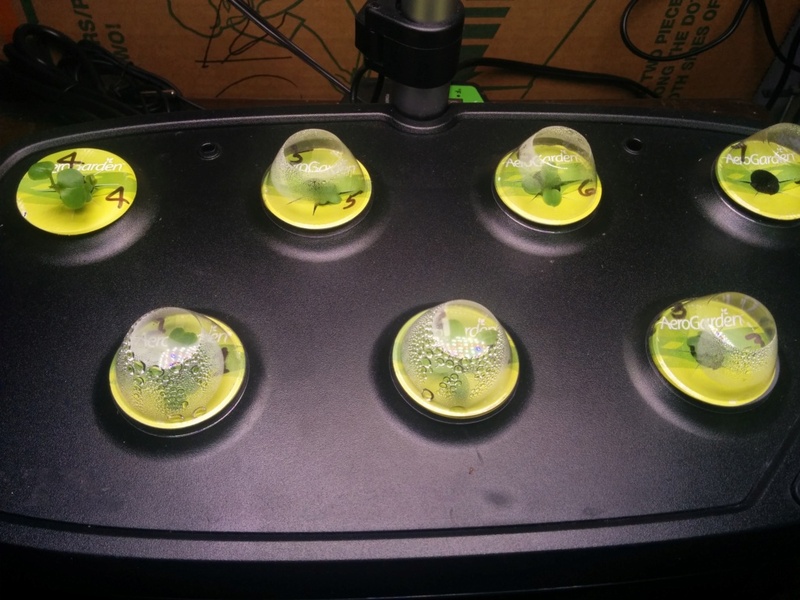 I have been having a problem with my aerogarden that maybe you can help. The tips of the top leaves on some brands/varieties of lettuce dry out and look a little burned. I have the LED version and am not sure how close to put the light. The instructions said right up next to the top of the plant. But I do not do this because I believe it is too close. I have read where the LED light should not be down real low. Any help would be appreciated. @yolos wrote: That lettuce looks good. 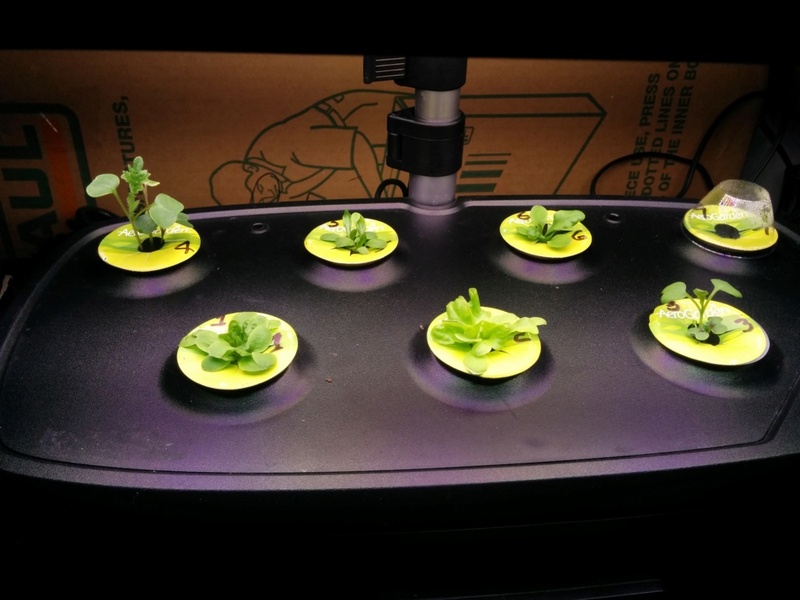 I have been having a problem with my aerogarden that maybe you can help. 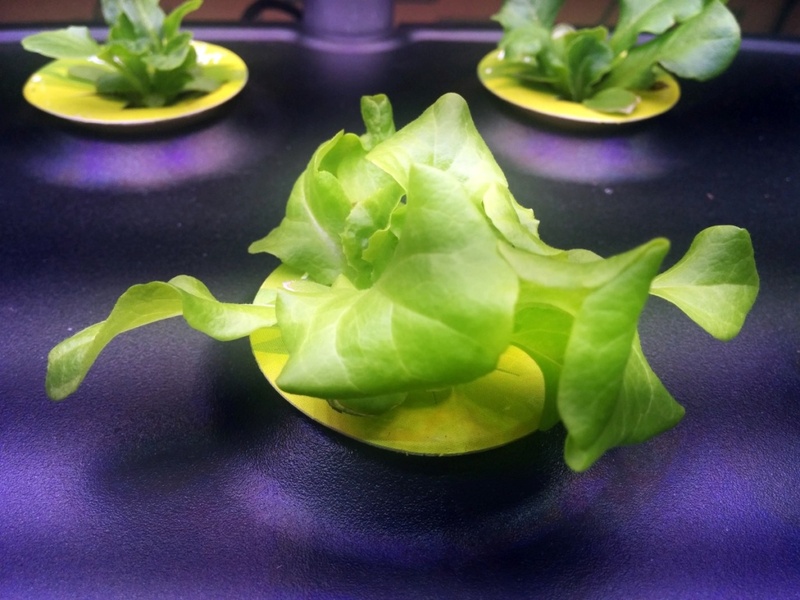 The tips of the top leaves on some brands/varieties of lettuce dry out and look a little burned. I have the LED version and am not sure how close to put the light. The instructions said right up next to the top of the plant. But I do not do this because I believe it is too close. I have read where the LED light should not be down real low. Any help would be appreciated. I've noticed a couple of leaves with slightly brown edges. These are leaves on the outside of the plant and furthest from my LED light. I try to keep the water in the tank topped up on almost a daily basis. I keep the LED light about two inches above the plants. It helps if all of the plants are about the same height which is not always possible. 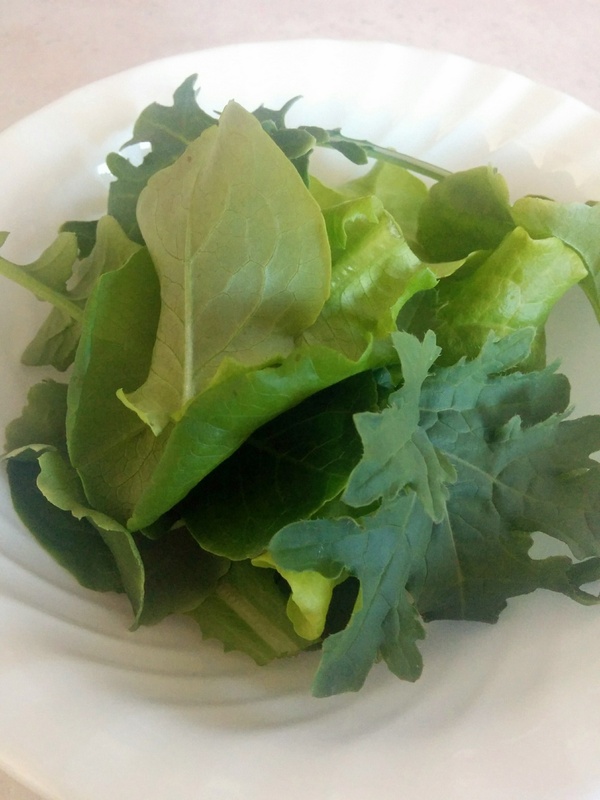 On the lettuce I harvest the tallest leaves and the outer leaves. 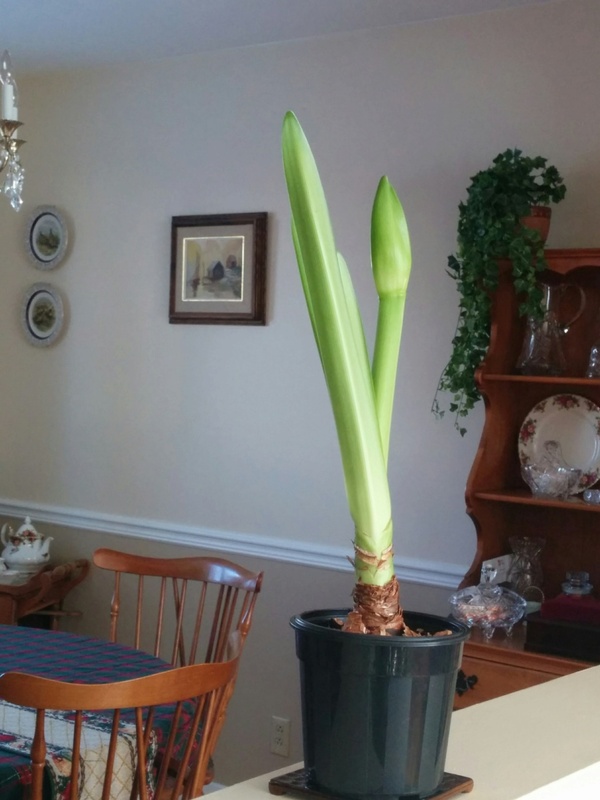 We had an Amaryllis bulb that flowered about 12 months ago. After it died back Mrs TD left it in its pot and set it aside. Just over a week ago she decided to water it. Within a day there was evidence of a green shoot. Now it is 16 inches high with three leaves and a flower stem. 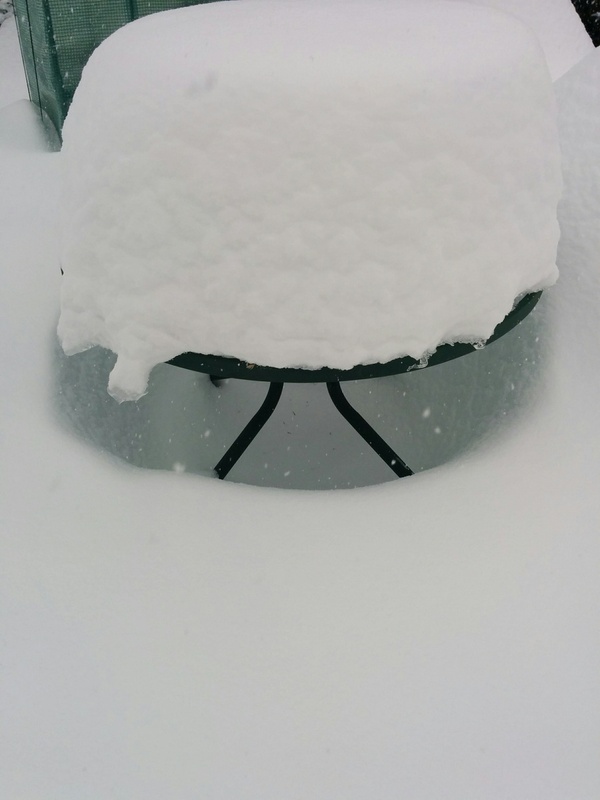 We got another 25 to 30 cm of snow today. With freezing rain and rain on the way on Thursday, it's going to get messy. 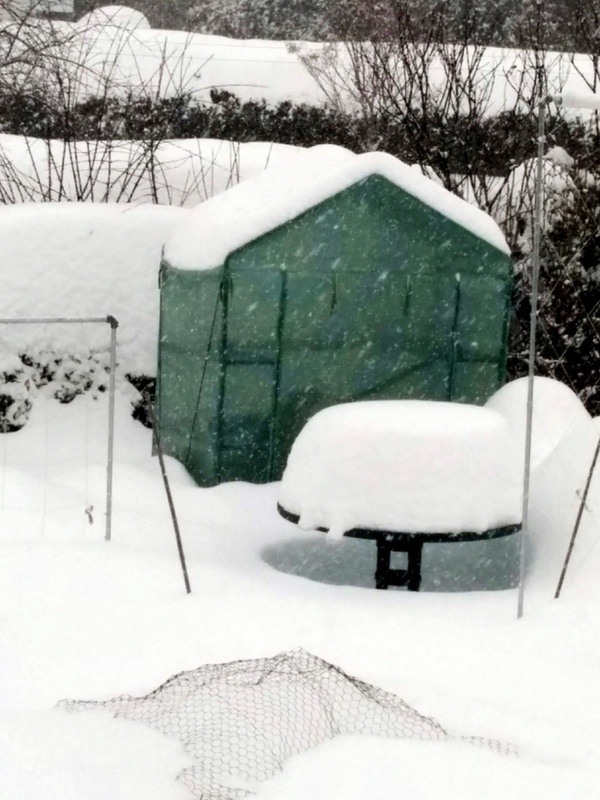 My little portable greenhouse had a lot of snow on top and I was afraid the rain would increase the weight of the snow and cause a collapse. 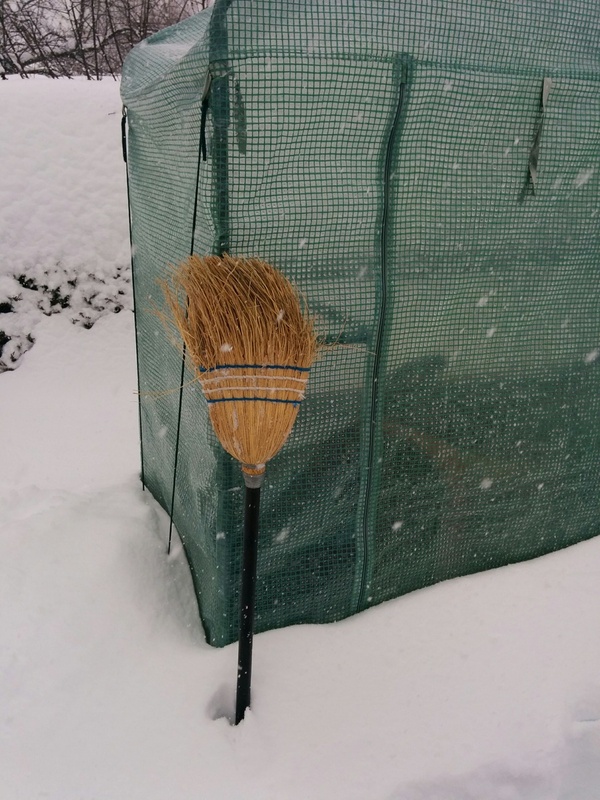 So out I went across the backyard stepping through the deep snow that went above my knees and I cleaned off the roof of the greenhouse. 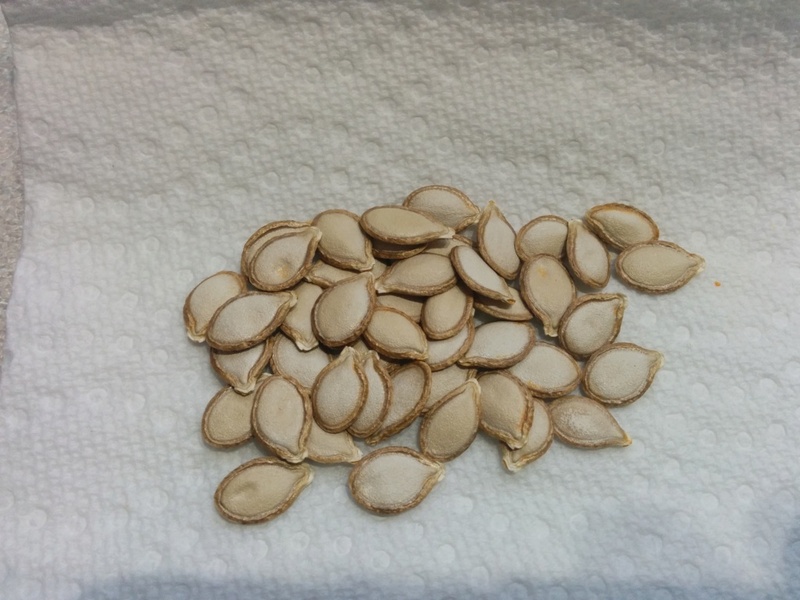 A few days ago I saved some seeds from a Canada Crookneck Squash that we used to make soup. 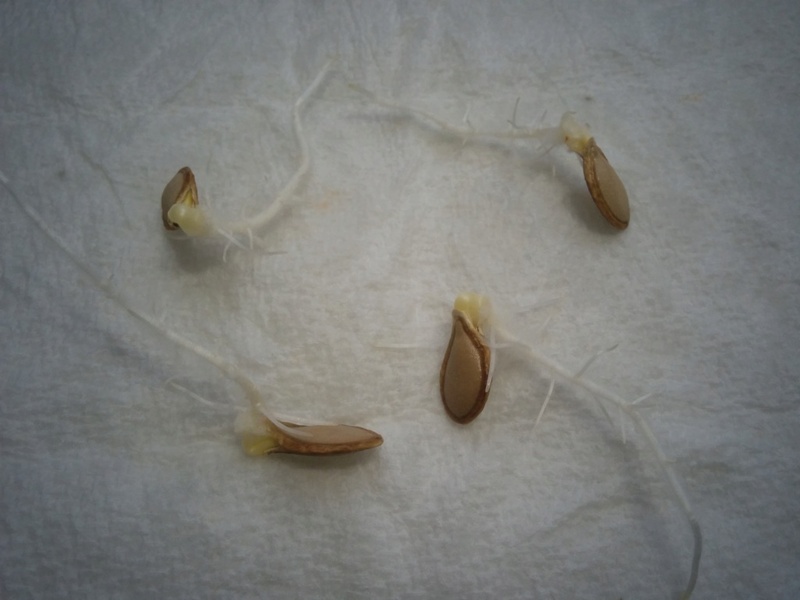 The germination test on four of the seeds was 100% successful. Excellent! Canada Crookneck is a good variety. Your indoor greens look delicious. I wanted an Aerogarden but spouse thinks it's a waste of money so instead, we have been buying a hydroponic lettuce from Quebec.